Čiovo is an island in central Dalmatia, connected to land and the town of Trogir by a drawbridge. It has been inhabited since prehistoric ages and the ancient Romans have called it Boa (Bua, Bavo). During 15th and 16th centuries, nearby inhabitants take refuge upon it, running from the Turks. Island area is 28.8 square kilometers and it has about 6.000 inhabitants. Its length spans from east to west and it closes Kaštela Bay. The terrain is mountainous, with Rudine (209 m) being its tallest peak. At its northernmost part is the southern part of Trogir. Other places include Arbanija and Slatine on the north-eastern coast, Žedno further inland, and Okrug Gornji and Okrug Donji at the western coast.. There is over 2.700 sunny hours on average each year on Čiovo. Since Čiovo is a kind of extension of the town of Trogir, it offers a number of possibilities for fun, night life, recreation and swimming, along with numerous historic monuments. 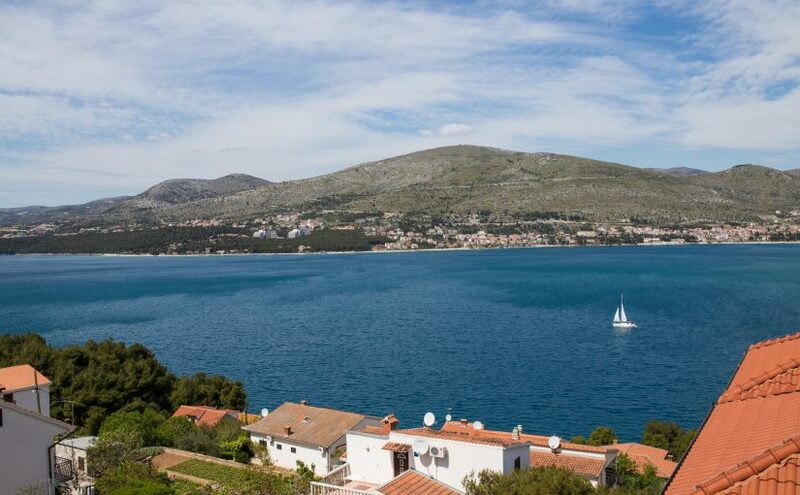 Riviera Okrug, which is mere 4 km from the town center, is the most popular tourist destination near Trogir. Mediterranean vegetation, archipelago filled with small, picturesque islands, mild climate and beautiful beaches in hidden bays will surely make your stay unforgettable. The placement of the island in the heart of Dalmatia (see Čiovo map) makes it an ideal starting point for the exploration of rich cultural inheritance and natural beauties of Dalmatia. Čiovo is connected to land by a drawbridge in Trogir.